With the holidays just around the corner, the shops are becoming more crowded as folks are frantically looking for Christmas gifts. As an introvert and (aspiring) minimalist, it’s a tough time of year. Stores jam-packed with people are my worst nightmare and I hate buying useless things my loved ones don’t want or need. If you click the photo of the product, it will take you to the store closest to your location(for Belgium, this will generally be France). However, we know when you ship gifts, you don’t always shop at the store closest to you, so below the photo, you’ll find the direct link to the UK, US, and French stores if the product is available. Keep in mind, not all Amazon stores carry all of the same products. Particularly when it comes to things like Belgian beer gift packs and Belgian chocolate gift baskets, particular options are only available in one store. Prices vary widely on many items from store to store. It is worth price checking via the different links to get the best price. Pro Tip: Amazon’s products use the same URL structure (and product codes) across all their stores. So if you see a product on Amazon.com, just change the ‘.com’ to your preferred store (e.g. .de) to see if it is available there. If you click on any of the Amazon links in this post, we get a small commission. It doesn’t cost you a penny extra but it gives us a few cents to help cover our expenses. See the end of the post for a full disclosure statement. While I’m all for the occasional fun or silly gift, generally I would much rather give something people will use and enjoy. The following travel gear gifts are all items your favourite travel companion will use again and again. We talk about our Biaggi suitcases a lot, and with good reason – we love them! 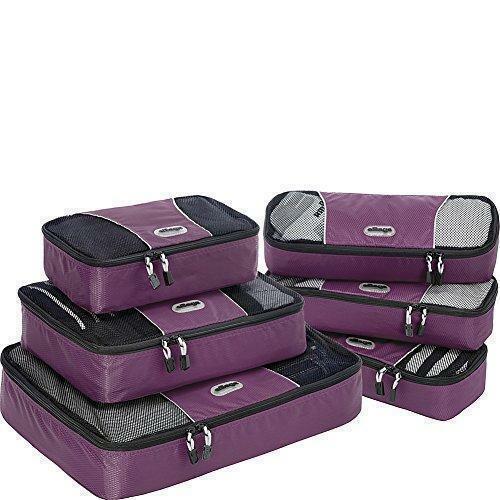 These handy bags fold down into a small cube, easy for storing in our house on wheels. They are light, come in a range of sizes and colours, and hold a heck of a lot of stuff. 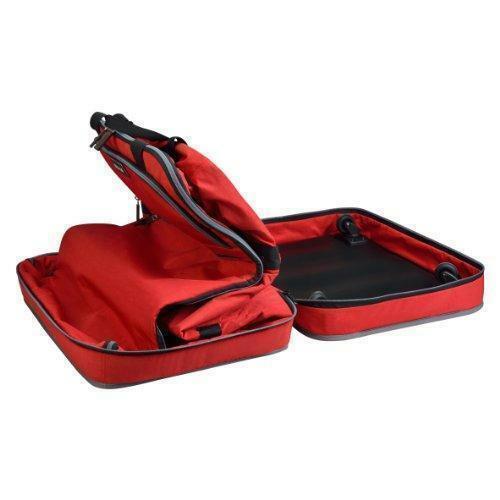 I actually loved my Biaggi suitcase so much I just purchased the shopper tote (in red) for my upcoming trip to Belgium for the Christmas markets. It folds up into a zippered pouch but expands to hold a LOT of stuff. I’m actually considering using it as my carry-on luggage for the flight to Europe. The other item of luggage we can’t live without is our packing cubes. Not only do we use them in our suitcases, but we store our clothes in them in our motorhome too. They keep everything organised and save so much space. We’ve tried a number of different brands, but we keep coming back to the eBags. While they are not the cheapest packing cube option, they certainly aren’t the most expensive. They are sturdy, come is a variety of shapes, sizes, and colours, and we’ve never had issues with the zippers like we have with other brands. 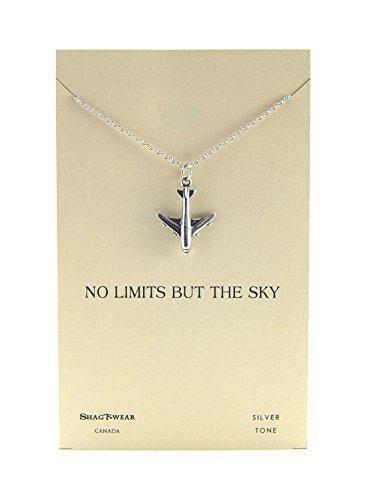 This was another of my purchases for my upcoming trip. I wanted a wallet large enough to store both of my passports, boarding cards, and other odds and ends. I liked that this one doubles as a clutch and blocks RFID. Power is always an issue when you travel with mobile devices. Having enough power and the right style power source is critical. 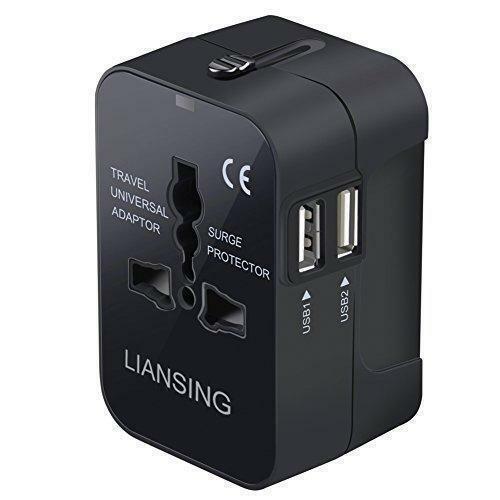 This all-in-one travel adaptor also includes USB plugs so all your devices can charge easily, wherever you are in the world. If you prefer to get your charge from the sun, a portable solar charger makes a great stocking stuffer for your eco-conscious friend. 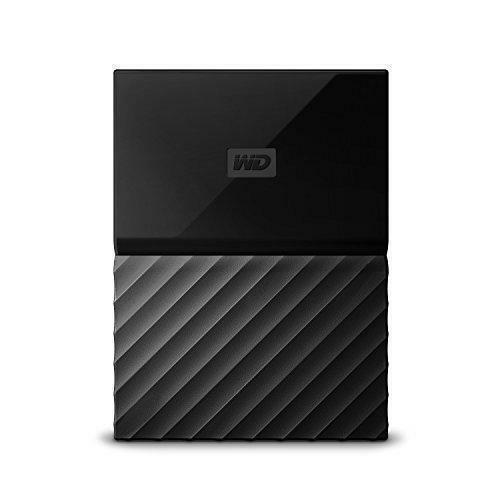 I’ve been using these portable external hard drives to back up my photos for a couple of years now. They are durable, light, fast, and reliable. If there’s one thing that inspires us to travel, it is books. This list includes some of our favourites on our shelves right now, as well as some new titles on our personal wish lists. While we love physical books, they aren’t always practical to carry, especially when we’re on the road. 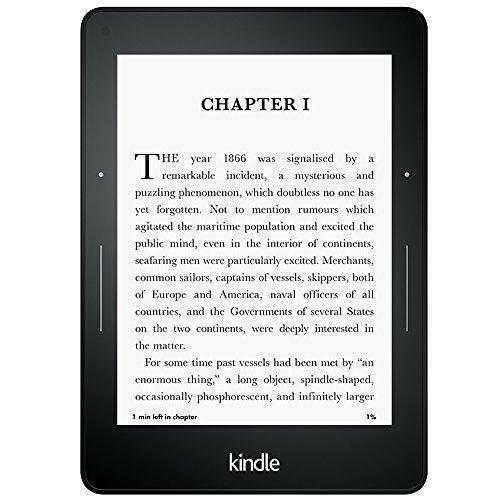 That’s why we love our Kindle and the Kindle Voyage is designed especially with travellers in mind. When we lived in Belgium, we had a whole series of these National Geographic books and they were the ultimate travelporn. This is the book that started the series but the others are great too. We especially loved Drives of a Lifetime and food destinations which you’ll find below. 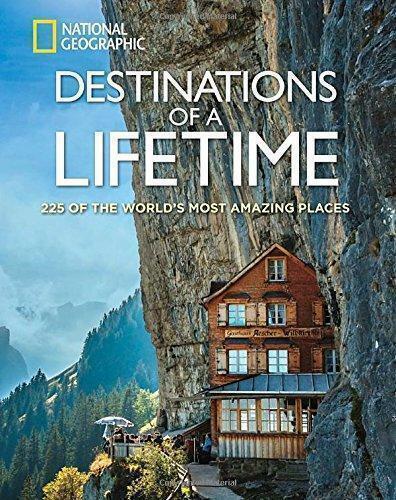 Another favourite from our bookshelf is Lonely Planet’s Travel Book. 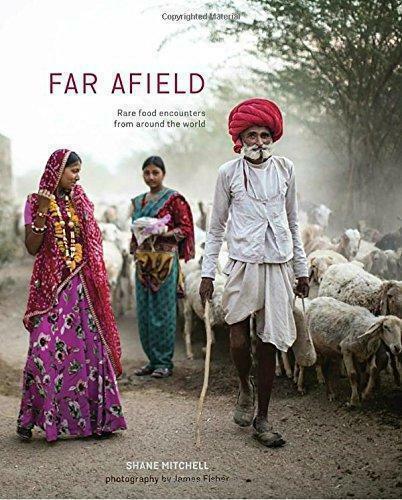 The book takes you through every country in the world (more or less) and gives you tidbits about the geography, people, wildlife, and culture, as well as beautiful photos. If you’re a regular reader you know we’re more than a little obsessed with visiting UNESCO sites. 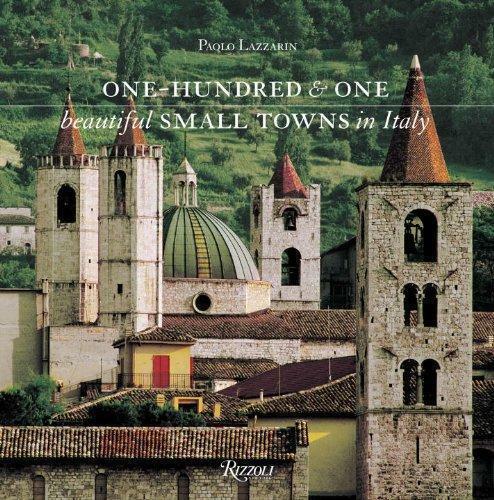 While this book doesn’t have them all, 1,031 is a pretty good starting point. Want to be on the cutting edge of next year’s travel trends? 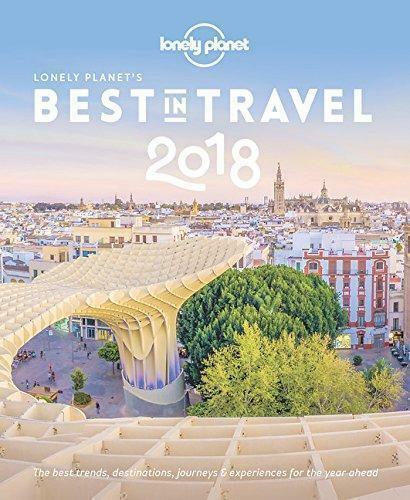 Lonely Planet offers up their top picks each year in this inspiring guide. 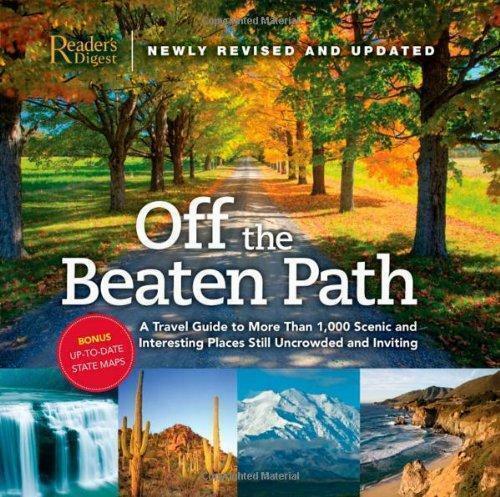 This colourful Reader’s Digest guide offers inspiration on over 1000 off-the-beaten-path destinations in the United States. The open road is calling! 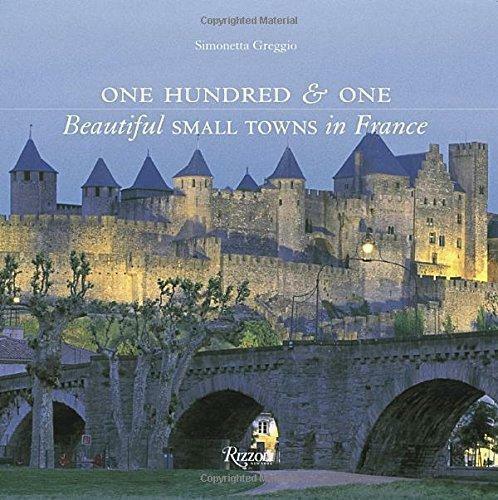 After spending over three months slow travelling through France in our motorhome, we believe there are a lot more than 101 beautiful towns… but you have to draw the line somewhere. Immerse yourself in La Belle Vie in this beautiful coffee-table book. Because France isn’t the only beautiful country in Europe, you can also indulge in la dolce vita. 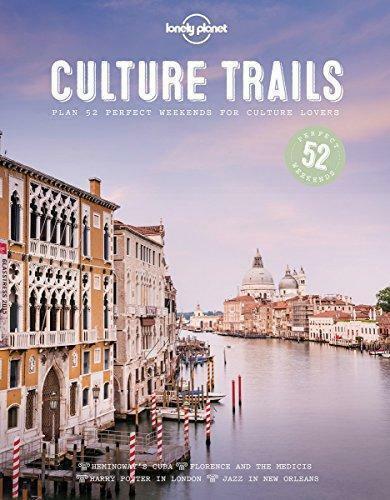 Lonely Planet’s Culture Trails is a new offering this year and is solidly on my wish list (Andrew, if you’re reading this…). 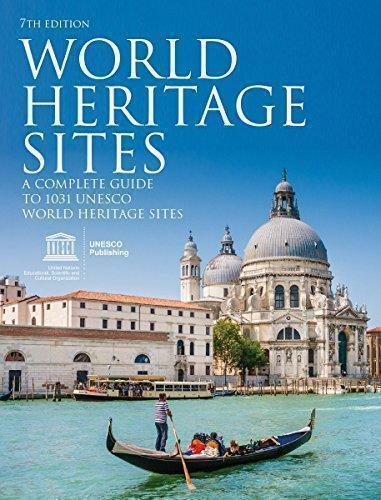 We love immersing ourselves in new cultures and this book provides all the wheres and hows. 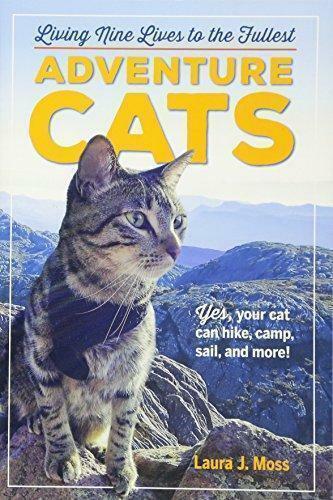 I just discovered this book while compiling this list and it’s also been added to my wish list. This is a best-of compilation from the website of the same name. We were pretty impressed with our own adventure cats this year. Do you this Orange and Buddy could make the next edition? Last year, for Christmas, we gave our nephews something a bit different. Each month, we sent them each a travel-related book. Some were books specifically about a particular country or culture, others were simply set in different places. The boys, (in kindergarten and grade 3) loved it and couldn’t wait to get their package each month. If there’s interest (drop us an email or hit us up on Facebook), I’ll compile the whole list in a future post. 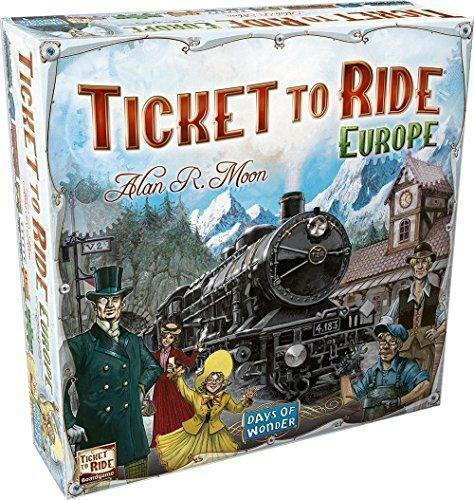 However, I want to share a few favourites for the travelling kids on your gift list. 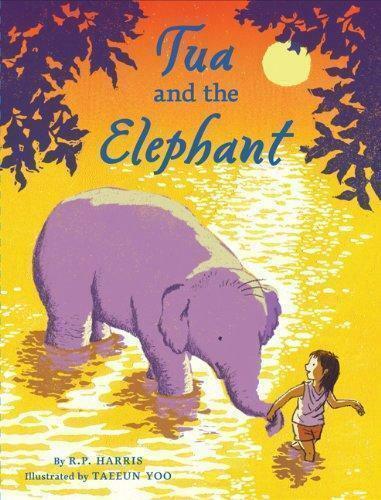 Set in Thailand, this is the story of a young girl who meets and helps an elephant, who becomes her friend. 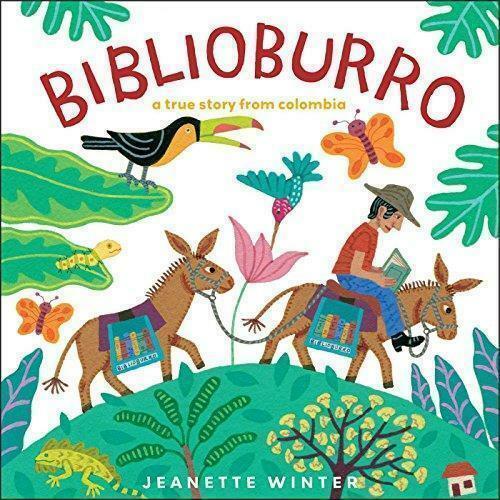 A true story about a man who starts a library in Colombia – on his donkeys. 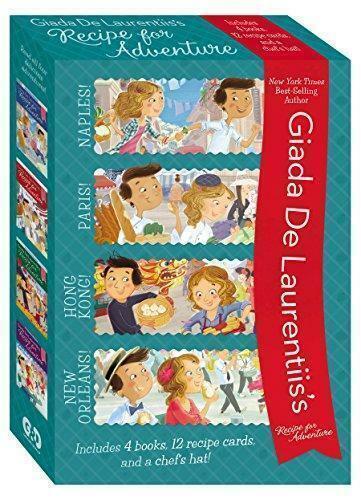 This set contains the first four books in the Recipe for Adventure series. 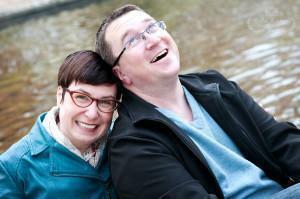 Each book, about a brother and sister, is set in a different city and includes local recipes. It’s a perfect series for the budding travelling foodie! 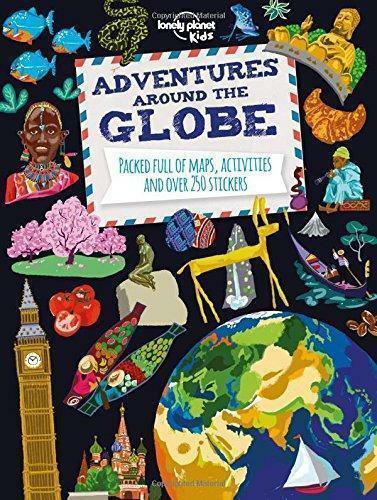 If your travelling kid loves maps and stickers, this Lonely Planet guide is the perfect activity book to keep them occupied and spark their interest in the world. This series for early readers is all about what it’s like to live in different countries. 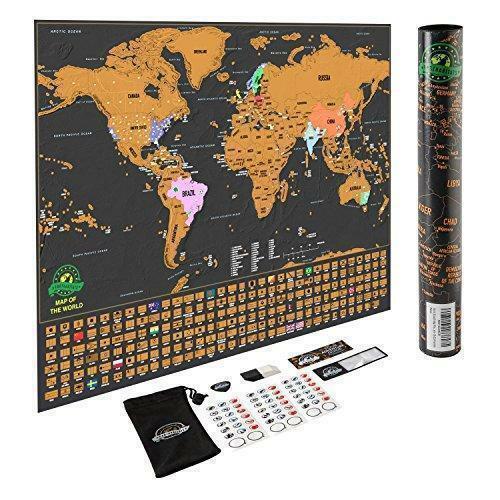 The box set includes Italy, Brazil, China, India, Mexico, and South Africa. 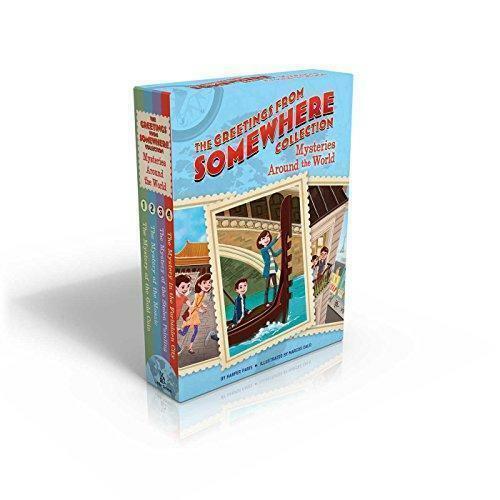 The Greetings from Somewhere books are another fun children’s series of mysteries set around the globe. Twins Ethan and Ella travel to exotic locales from Paris to China to an African safari. Flat Stanley was one of the original travel books for kids. We’ve sent our fair share of Stanley’s around the world over the years. 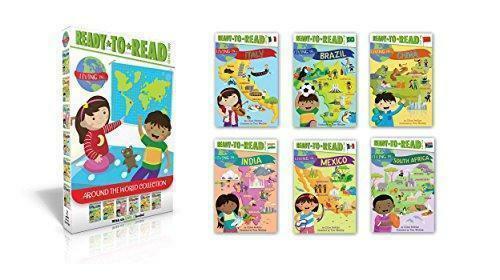 I was happy to learn Stanley’s travels were still a hit with my nephew who loved this boxed set of Stanley’s global adventures. While we want our nephews to grow up curious about the world, we also don’t want them to forget their own country is pretty amazing too. That’s why I added Wow Canada! to their booklist. 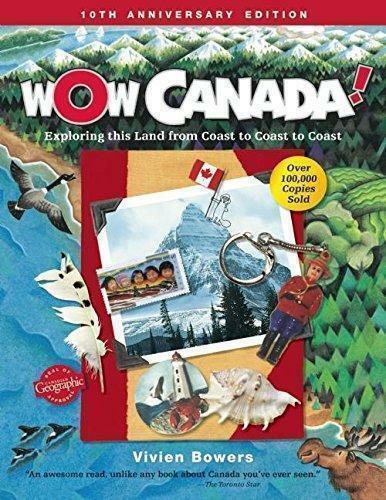 It’s filled with fun facts and beautiful pictures of the Great White North. 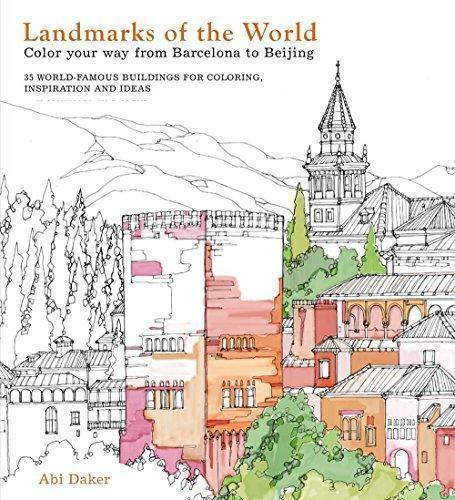 Relax and explore the world at the same time with this beautiful adult colouring book. 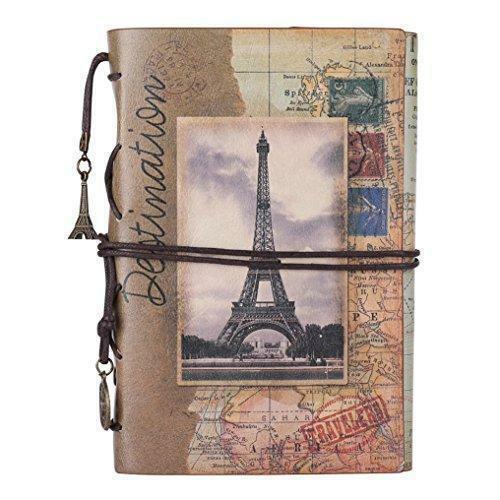 A beautiful blank book is a perfect gift for any traveller. This one has unlined pages so it can double as both a journal and a sketchbook. It also has a few pockets at the back for holding memorabilia like ticket stubs. 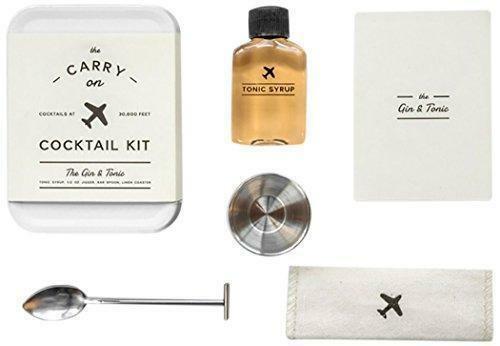 You just never know when you might need an emergency cocktail… In addition to the Gin & Tonic version below, this adorable little kit comes in: Bloody Mary, Champagne Cocktail, Moscow Mule, and Old Fashioned versions. 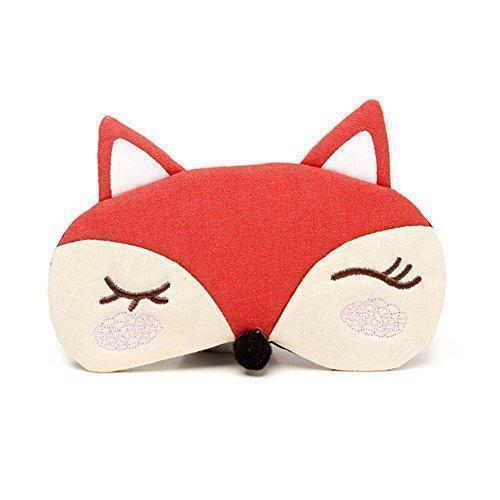 I was recently searching for a new cosmetic bag and turned up this cutie! 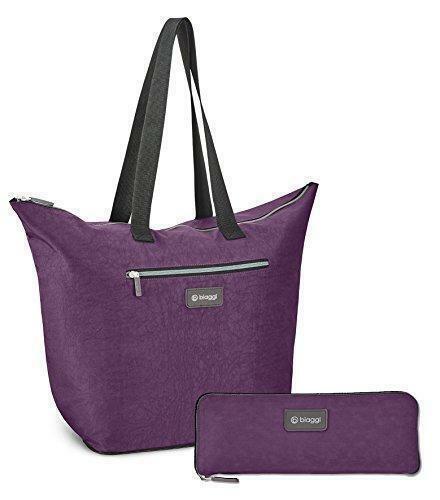 This canvas bag is big enough to store makeup, pencils, power cables, or any other odds and ends you need to stash away. 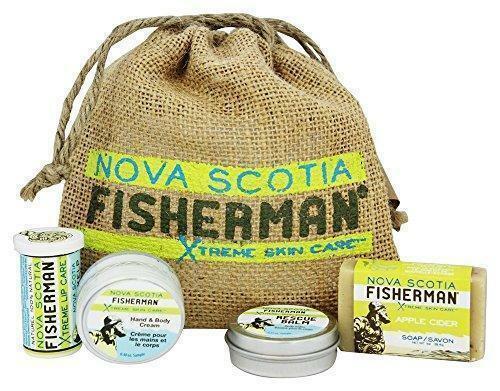 Since I’ve been back in Eastern Canada, I’ve discovered the Nova Scotia Fisherman line of natral skin care products. I love everything about them. This gift set has a selection of their best products in mini size – perfect for travel. 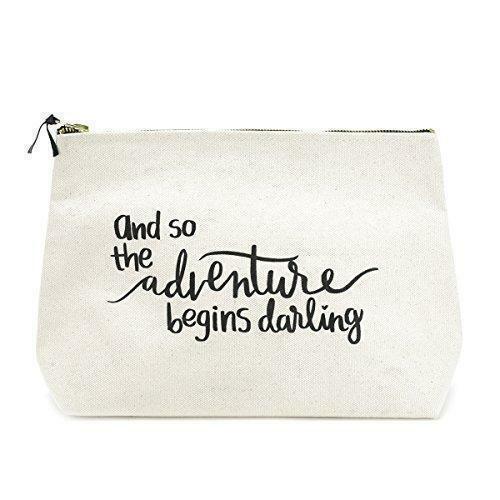 Add them to the cosmetic bag above for a practical and fun travel gift. Adorable. That’s all I have to say. 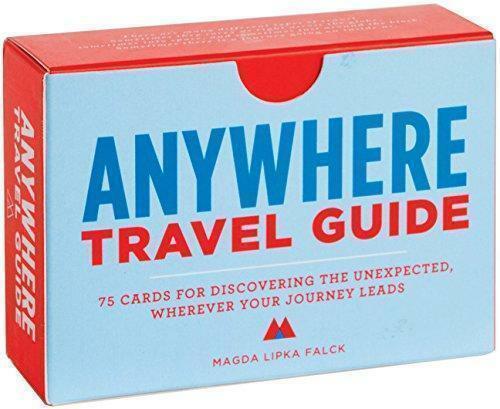 This little box includes “75 cards to inspire exploration.” Each card has a prompt you can act on whether you’re travelling in a new country or in your own hometown. This is perfect for the person who wants to get into slow travel and have some off-the-beaten-path adventures. Like books, food can instantly transport you around the world and I love to cook almost as much as I love to eat. Full disclosure – cookbooks are my weakness. Frankly, books, in general, are my weakness but cookbooks with their glossy photos of gorgeous dishes are particularly tempting. These days I limit myself to cookbooks on Kindle, (it’s much easier to transport my culinary library in our RV that way), but I’ll admit I do miss flipping through those glossy pages. Below you’ll find my favourite cookbooks, as well as books about culinary travel. As mentioned above, the National Geographic Journeys of a Lifetime series was one of our favourites. 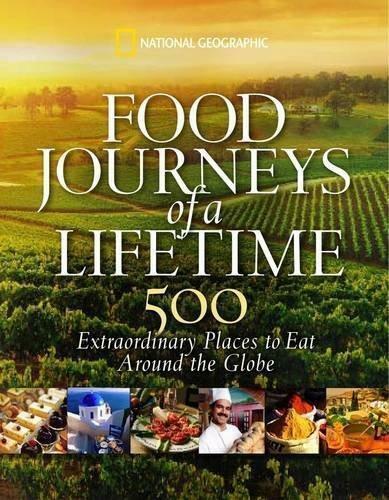 The Food Journeys edition is the perfect marriage of food and travel that will have your mouth watering and your feet itching to hit the road. 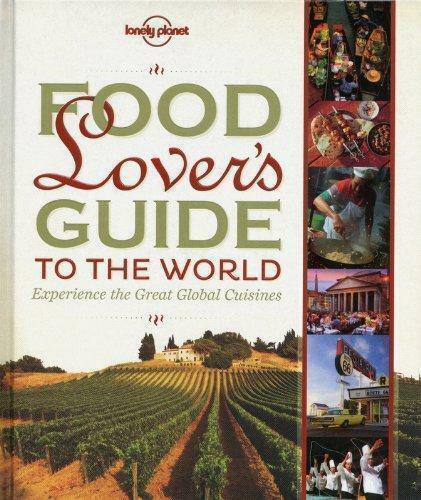 Similar to the title above, Lonely Planet has compiled their foodie travel guide as well. 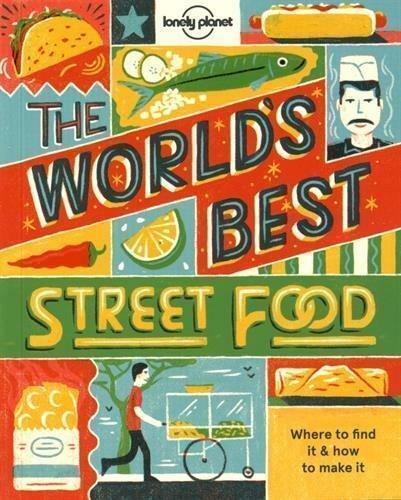 We love street food, so when I saw this Lonely Planet book that’s half guidebook and half cookbook, I snapped it up. It’s a wonderful little guide. I was surprised it only rated a 3/5 on Amazon US but when I read through the reviews, I saw the negative comments were regarding the Kindle version, which apparently is not well done. So, make sure you buy this one in its paperback edition as I did. I put this book on my wishlist last year when it first came out and, unfortunately, it’s still sitting there. However, it looks so gorgeous I may just have to treat myself this Christmas. 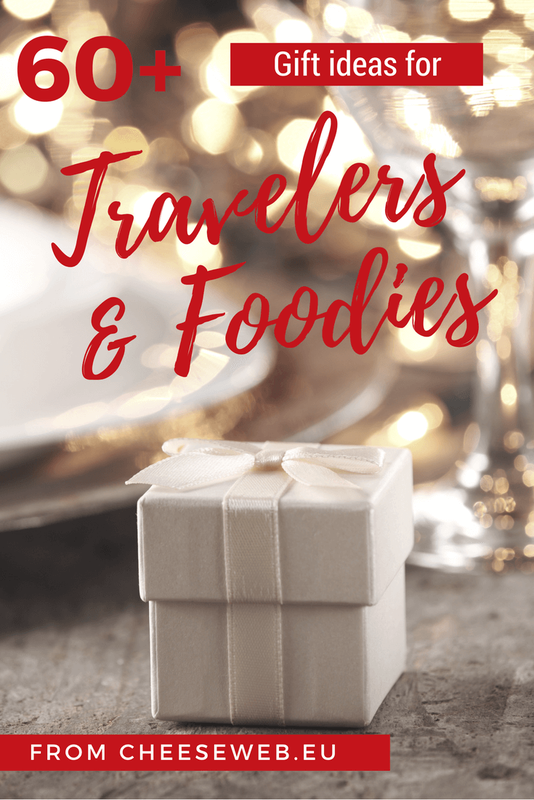 This book combines all the things I love – travel to exotic locations, beautiful photos, in-depth stories about different cultures, and recipes from around the world. 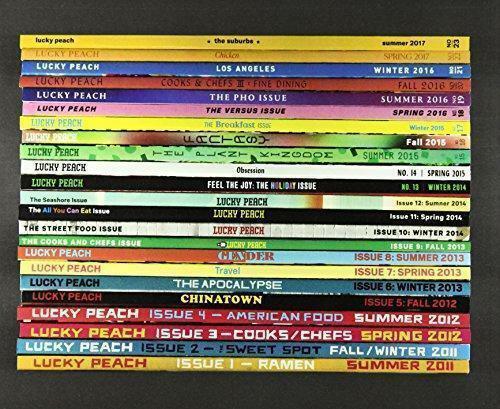 If you’re looking for the cutting edge of food writing, you’ll find it between the covers of Lucky Peach Magazine, which much to the dismay of foodie around the world, released it’s final issue this year. I recommend snapping up any and all of the issues you can, but if you only buy one, the final issue it a compilation of the best stories from the past issues. I’ve followed David Lebovitz’s blog for ages and this book is just as warm and charming as you would expect. 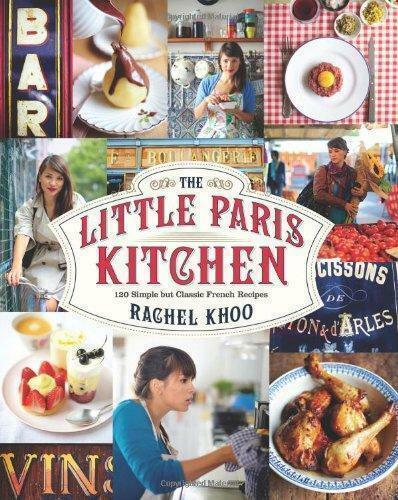 You’ll be dreaming of cooking up gorgeous creations in a tiny Parisian kitchen too. 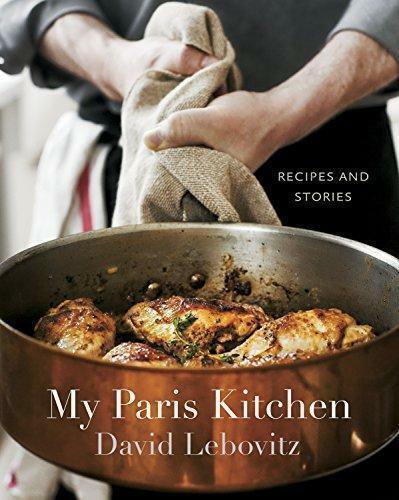 Another charming book filled with simplified French recipes and gorgeous photos of Paris. There are some deliciously fun and tasty dishes that are quick and easy to prepare. 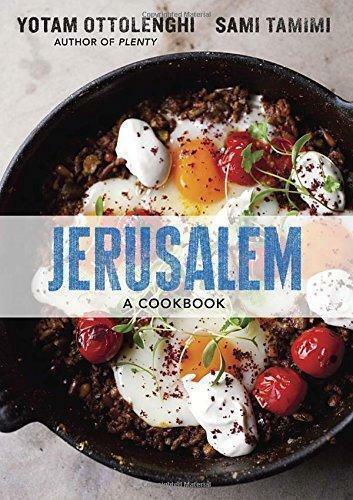 If you love middle eastern food, you need Yotam Ottolenghi’s cookbooks on your bookshelf. While I love them all, I think Jerusalem is my favourite. 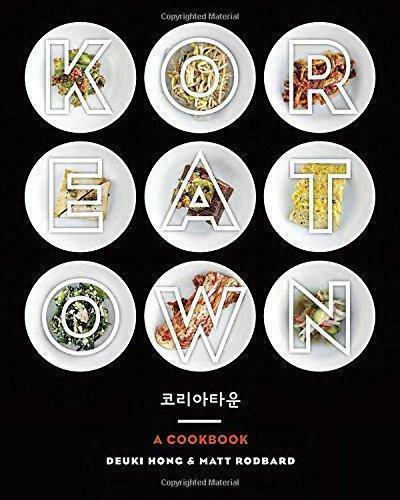 Not only is it filled with delicious recipes, but it delves into the diverse culinary and cultural history of the city. This is definitely in my top 5 favourite cookbooks. When most people think of curry, they immediately think of India. Certainly, Indian curries are as rich and diverse the country itself. 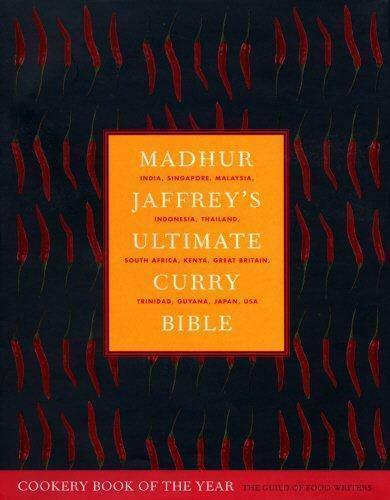 But there are curries around the world and, in this book, Madhur Jaffery takes on the daunting task of presenting as many of them as possible. It is a tomb and presents not only recipes but cultural context and history. I’ve read it cover to cover and it’s one of my most loved cookbooks. 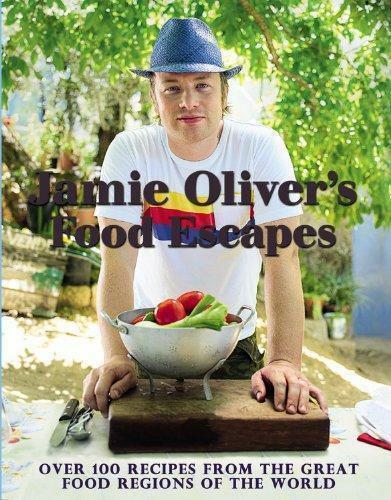 When I fell in love with cooking in Europe, one of my earliest influences was Jamie Oliver. By the time we finally left Brussels, I owned every Jamie Oliver cookbook in print (at that point) in hardcover. Clearly, I wasn’t able to keep them when we downsized to our motorhome (but I did scan A LOT of recipes in the months before we left). I cooked from all of the books, but my favourite was Jamie Does. For some inexplicable reason, when the book was published in the US, it was renamed. Either way, the recipes are inspired by Jamie’s travels in Spain, Morocco, France, Italy, Greece, and Sweden. This is a brand new book on my Kindle bookshelf and I can’t wait to dive into it. I haven’t explored Korean food much beyond kimchi but I’m more than ready to add this cuisine to my repertoire. This is another new addition to my cookbook collection. It had been on my wishlist since it launched and I recently managed to snap it up on a Kindle daily deal. Persian cuisine is old of the world’s oldest and yet it’s still relatively unknown to Western cooks. 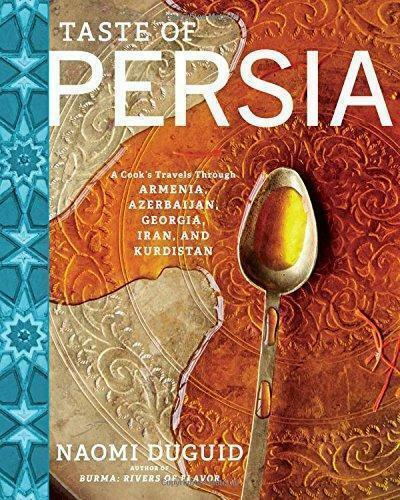 I’m eager to educate myself about the region, its history, and its cuisine, with this beautifully illustrated book. I fell in love with Moroccan cuisine while living in a primarily North African neighbourhood in Brussels. I love the warmth and depth of the spices and flavours. 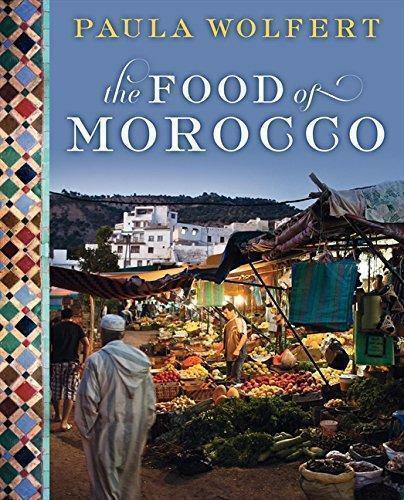 This beautiful book is a great introduction to Morocco’s rich cuisine and culinary history. We love dumplings and have made it our mission to eat them around the world. We’ve also done our best to cook them from scratch. 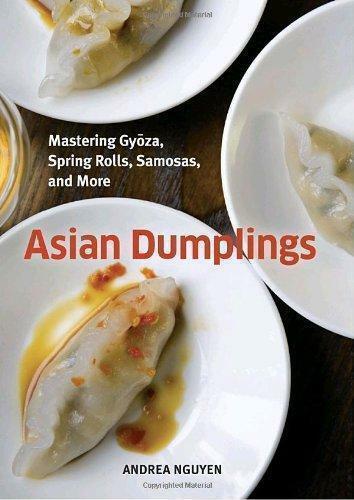 This book provides the basics of a wide variety of Asian dumplings from China to Japan to India and beyond. 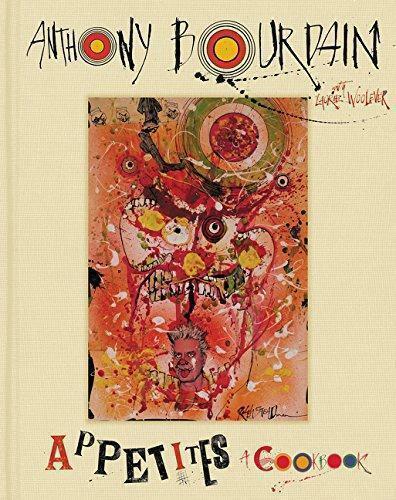 We are HUGE Anthony Bourdain fans and have followed his travels through various television networks and documentary series titles. I’ve read all of his books from Kitchen Confidential to his recent essay compilations. So I was thrilled when he released his first cookbook in decades. 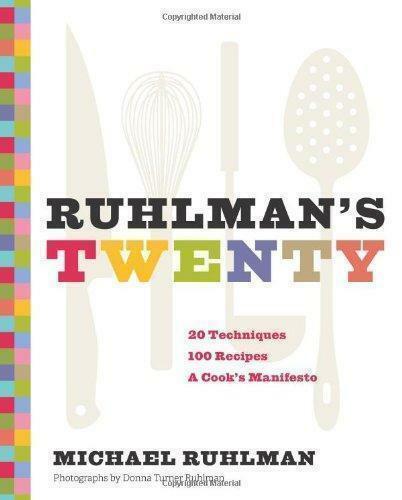 If you want to learn to be a better cook, of any cuisine, read this book from cover to cover. While it includes some excellent recipes, the true gold is in how it makes you think about food and technique. It’s one to refer back to again and again. You can’t talk about food and not mention Julia Child. 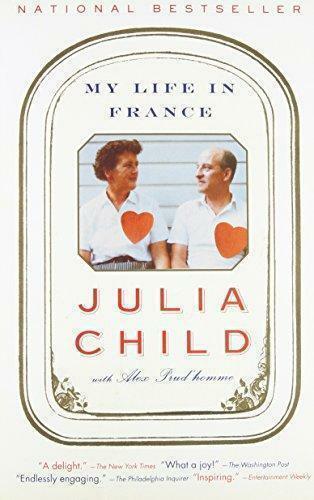 While I could have easily added any of Julia’s cookbooks to this list, my favourite of her books is actually her memoir of her time in France. Julia was a foodie, of course, but also an adventurous traveller and an expat. If you have lived abroad (or are considering doing so) you can easily relate to this book. Other than books that allow me to ogle food and recipes I love getting great cookware and kitchen gear as gifts. 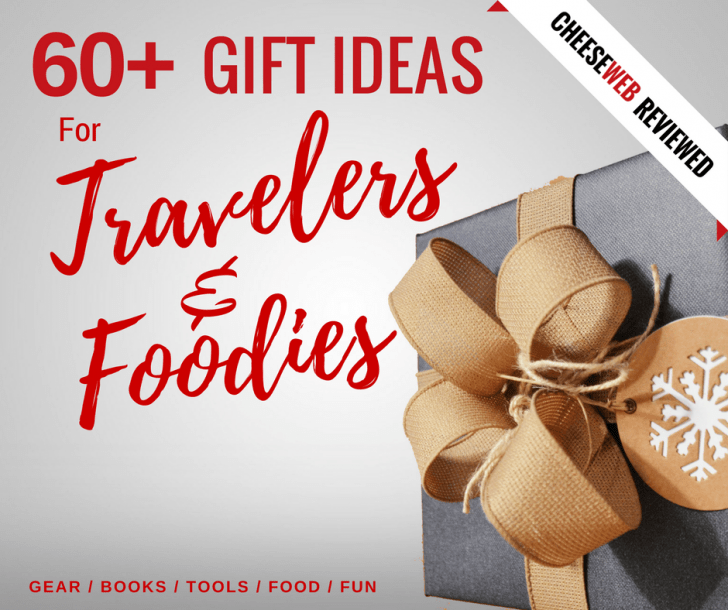 And any foodie on your list is going to be thrilled if you get them a basket of tasty treats or gourmet ingredients for their next feast. Shopping the various local Amazons for food items is when you’re really going to see the difference in products offered. 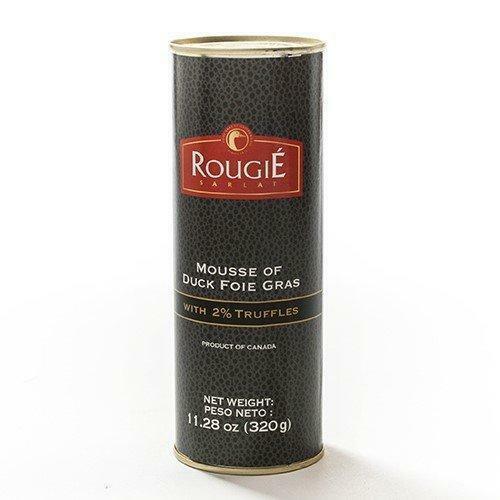 So for things like gourmet gift baskets and foodie gift sets, I’ve offered a different version for US and UK shoppers. 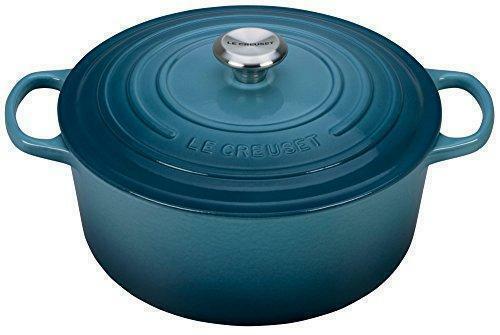 No one who loves to cook is EVER going to turn down a piece of Le Creuset cookware. They are made to last a lifetime (or generations if you’re lucky) and I love the few pieces I have. I actually use my KitchenAid exclusively for grinding spices and I really put it through its paces last summer cooking up curries in our motorhome. I love that it has multiple fully metal grinding cups. (My old grinder had a plastic cup that cracked over time). 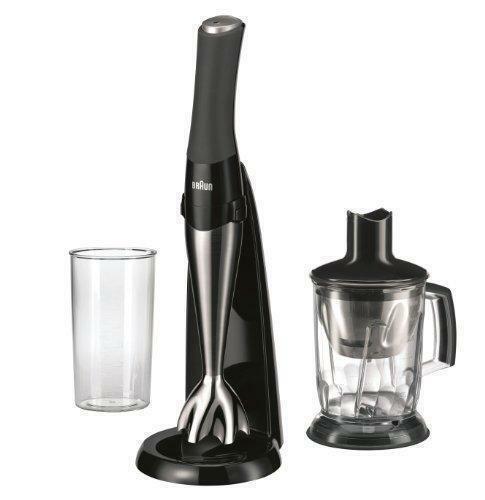 I love my cordless stick blender. 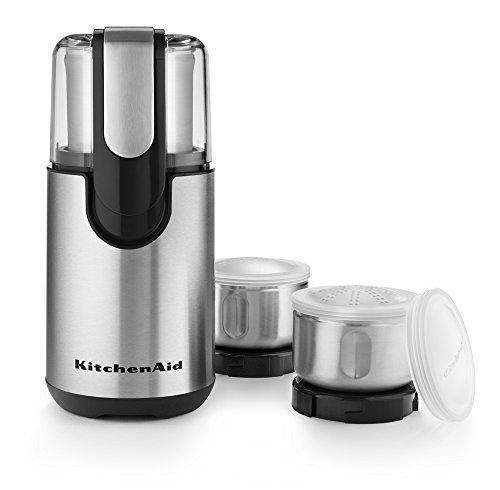 Also known as immersion blenders these are so useful for blending soups, making spice pastes, chopping onions… you name it. I use mine almost every day and I love not being limited by a cord. 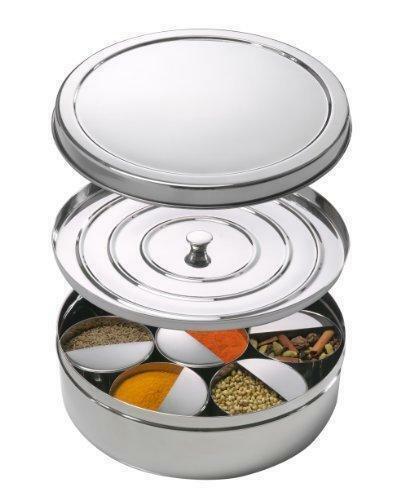 If someone on your gift list loves to cook exotic cuisines, why not surprise them with a traditional Indian spice container, called a Masala Dabba, and a collection of spices (see below)? They may even let you taste what they prepare! 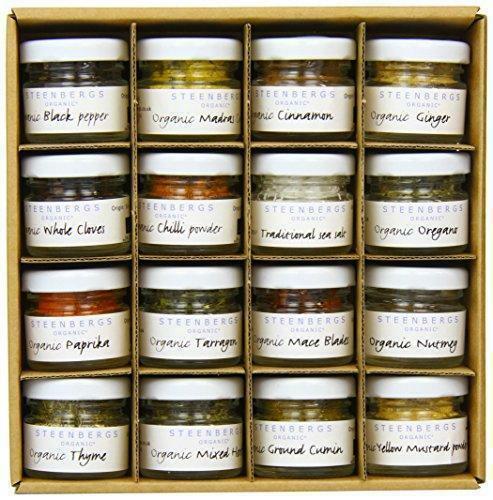 Steenbergs Organic spices are excellent quality and this gift set includes everything you need for daily use. Gustus Vitae specialises in small batch spice blends that are all natural, non-GMO, and sustainable sourced. I love the clever metal tins with magnets on the bottom for easy storage. The company offers a variety of spice gift sets but the World Flavours set caught my eye. Add some crackers and a bottle of champagne and you’ve got Santa beat! We first discovered Comtesse du Barry on a trip to Lille and fell in love with their delicious pates. This collection makes a wonderful set for your gourmet food loving friends! 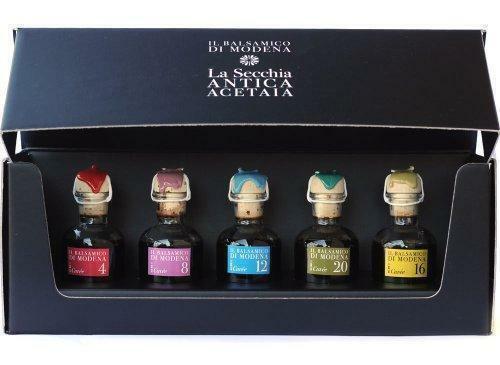 This is a beautiful gift set of aged balsamic vinegar from Modena Italy. 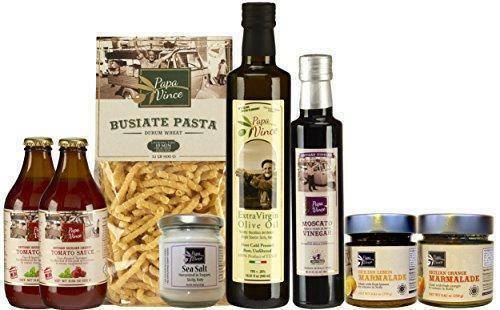 If you have an Italian food lover on your gift list, this is the perfect gourmet basket, including everything you need to make a delicious Italian meal fresh from a Sicilian farm. 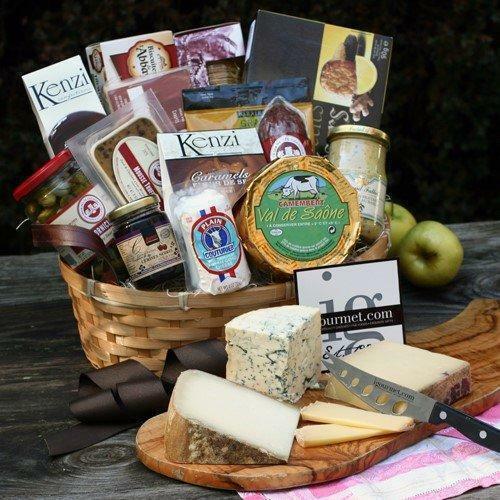 This gourmet gift basket is the ultimate for any Francophile on your giving list. 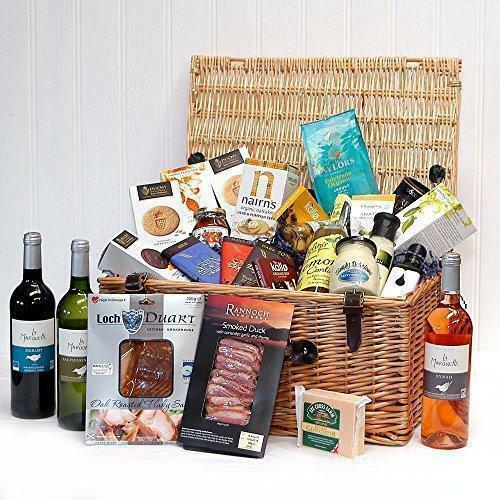 This gourmet basket includes everything you need for a luxurious picnic – including the wine. Happy shopping and even happier holidays from all of us here at CheeseWeb!